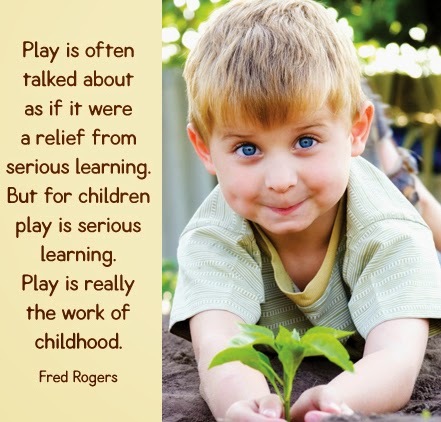 "Play is often talked about as if it were relief from serious learning. But for children play is serious learning. Play is really the work of childhood. " Deep down we all know it's true. Play matters. Albert Einstein knew it, Fred Rogers knew it. Education has changed, society has changed. Human learning has not changed. We get a new washer and dryer. What are the kids interested in? The boxes. They can play with it. Sandbox, bucket, shovel = weight, gravity, matter, particle, area, density... to name a few (in the context of play). We get a new phone, or an i-pad, or a computer. What do the device pro's tell us? Go home and play with it, that's how you'll learn all about it! Play. Permission to play. When we play on these devices and we learn, what do we feel? Joy! This is not to say that typical instructional methods should be sacrificed, and that kids should just play all day, of course not. It is, however, to say that purposeful play has an important, meaningful and powerful role in a balanced approach for best practices in the classroom. I didn't make it up, we all know it's true, but somehow it has become a dirty word in the classroom. We sneak it in. We know how much they need it. We can see the connections they make and their little dendrites reproducing and multiplying. The problem with it? 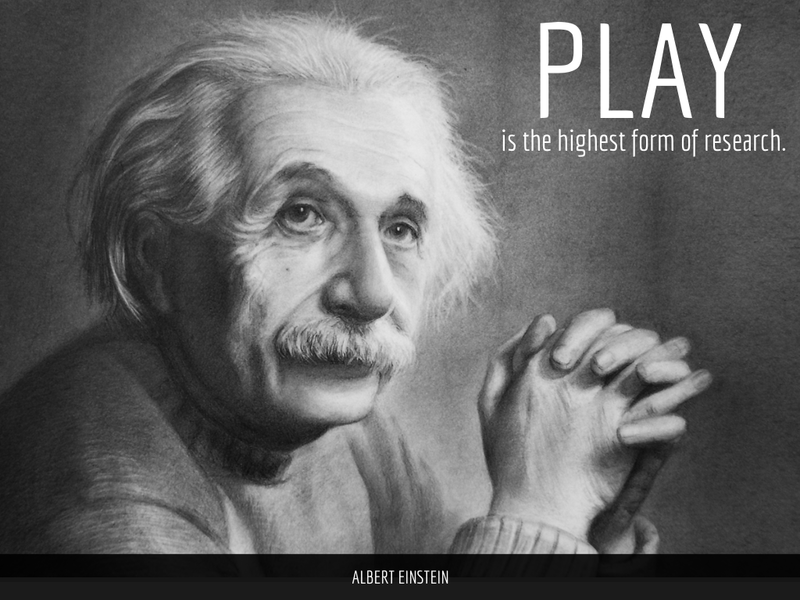 Most play doesn't provide data. Data. Of course I use data, it has it's place, but I do not live and die by it. For me, and I'm sure for you, it is one piece of the whole child. 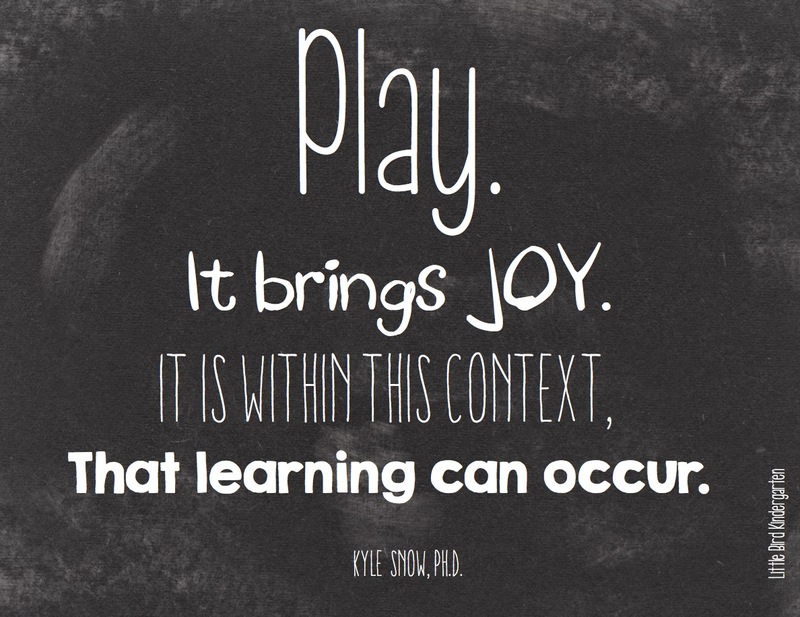 Play can involve serious learning. Just because something is not necessarily measurable, does not mean it is not valuable. Play evokes emotion. You can feel it. You can see it in their faces, you can hear it in their laughter and their voices. It is not rote. It is not flat. It is emotion, it creates schema for learning something new, or deeper, or better. Hmm. Still no data to show evidence of the time spent impacting the learner. Very tricky. Maybe some of the best learning that ever takes place is NOT measurable, maybe the value it adds to the learner is immeasurable to the point of pricelessness. My best answer for that (in the classroom) is quality play. Play that allows for open-ended thinking while providing opportunity for growth within the context of a theme or area of study. Maybe the evidence is in the careful observation of the process. This happened in my home. I would guess that most of my students living in the highly impoverished area where I teach do not have homes that facilitate play such as this. I know that they don't. I can continue to skillfully and intentionally provide opportunities everyday for enrichment through play for my 31 littles. I can advocate for it's importance. I can continue to weave it in, facilitate activities and windows of time for playful, joyful, and meaningful learning to take place. I can print out this research and share it with anyone who asks. I can also print what Albert and Fred said and post it in my classroom. 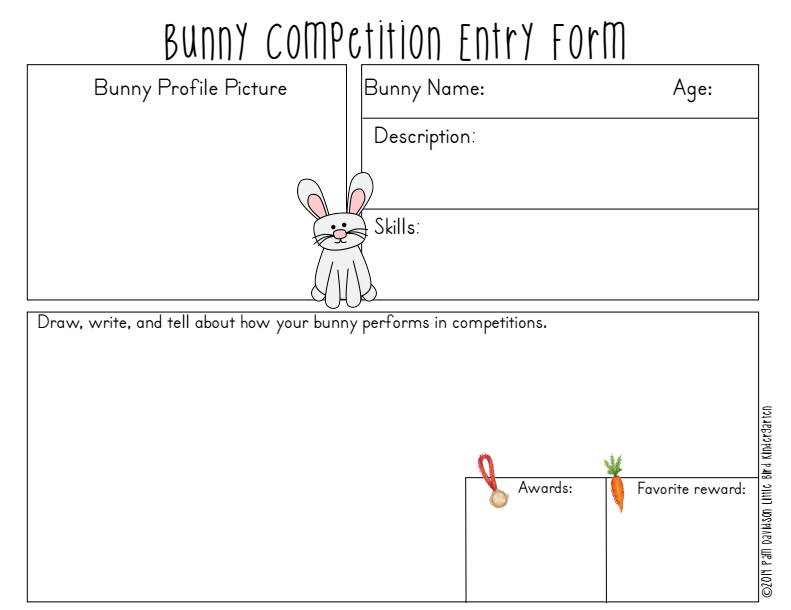 Time to get our bunny on! Easter, next week? Wow, it may be late this year, but it feels like it came fast to me. Time to dig out the bunny stuff! 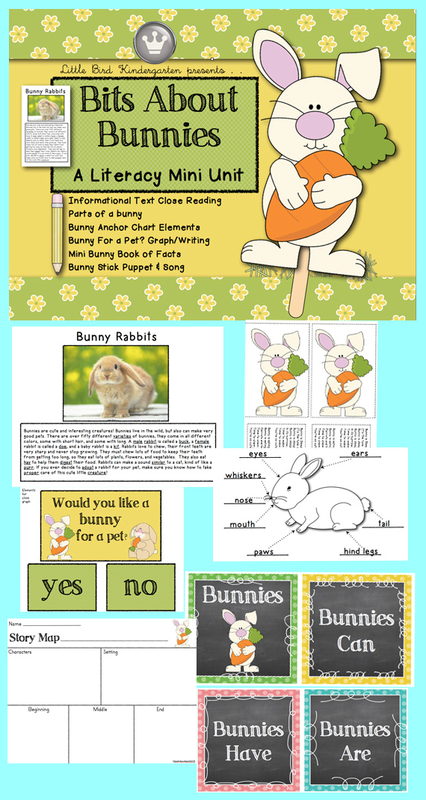 I created this resource last year and am so excited to use it again! The kids loved the close reading activities and their writing extensions and annotations were so cute! Can't wait to see what this years little group of writers will do! 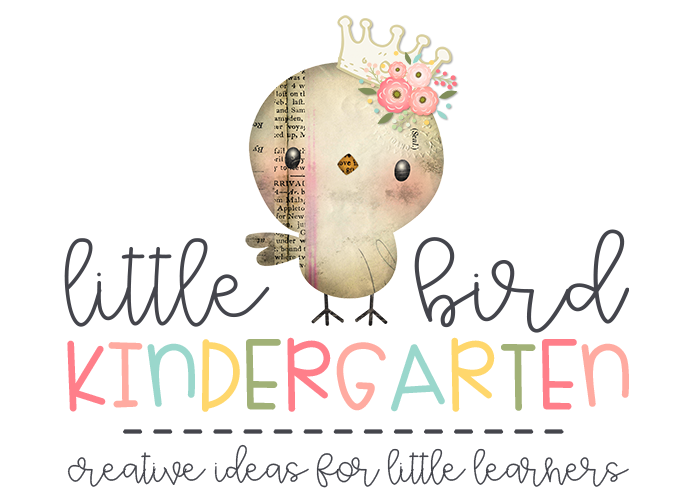 Download it for free from my TPT store! Yay! It really feels like spring now! We have a new incubator and seven eggs! The count down has begun! We have been working on our Chicks! Close Read and other chick activities. So fun to hear these smart little cookies using words like humidity, temperature, and conditions in their partner talk!